66849 Wylam Dilly brings up the rear of the 6T99 09:31 Bicester London Road to Hinksey ballast empties at Islip on 11 September 2013. Just out of sight around the corner is 47727. 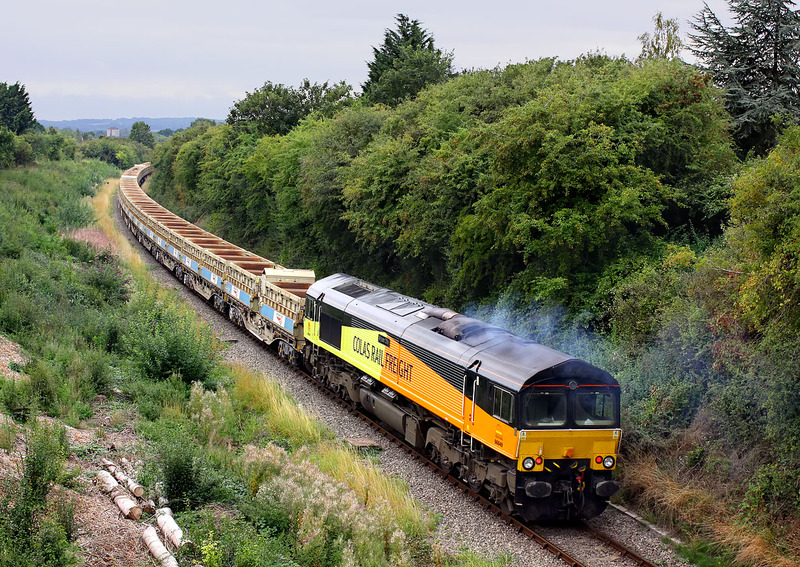 The loaded train brings in ballast for the construction of the new link line at Bicester, joined the Oxford route to the Chiltern Line.